Do you think yoga is pretty useless? I am well aware that, just like me, you like to hit the gym daily (yeah, right). However there are these other days. The days when you don’t have time to commute to gym, when you have too much work, when you feel a little sore from yesterday’s workout, when your head is just too cluttered, when you could come up with a million excuses to avoid working out. Yoga is for those days. 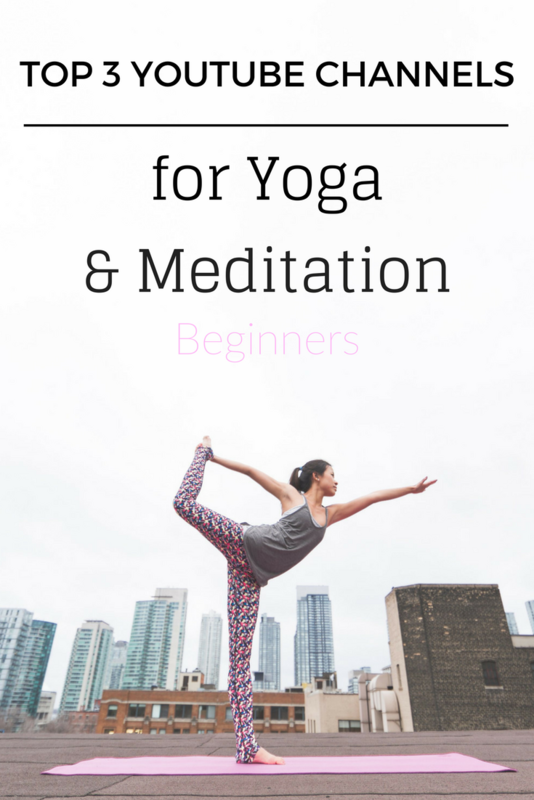 I am coming to you with my top 3 YouTube channels for yoga workouts and guided meditation to get you started on these practiced, which can be sometimes a bit intimidating. That way, you can practice yoga in the comfort of your own home, at any time and at your own pace. A MUST for every beginner. Whether in short quicky videos (under 10 minutes) or 30-day challenges, the yoga teacher Adriene got you covered to find what feels good – in her words – and discover yoga. The pace is very adequate for beginners to follow. Definitely a very good way to learn about yoga principles and postures. Recently she has also published a few guided meditations which are quite interesting as well. I am currently completing the 31-day challenge YOGA REVOLUTION, and I love it so far! Very good guided meditations and yoga sessions for intermediate level. Boho Beautiful is the YouTube channel of a couple currently traveling the world. Appart from their travel vlogs, many yoga & pilates workouts are available. The level is a little tougher and the target audience is more advanced than the one of Adriene for sure. However, no matter your physical condition, you will enjoy the guided meditation playlist which gives a proper introduction to what meditation is, especially for beginners. I discovered this channel quite recently but it looks promising! If you are in a hurry and don’t have time for a 30 minutes yoga or meditation session, head over to this channel for quickies. If you feel that meditating in front of YouTube is not the most convenient, there are many guided meditation apps. My favourite app for meditation is Stop, Breathe & Think. I already mentioned this app to you previously but you should really check out the new version. A lot of new guided meditation are available for free. What are your fav YouTube channel for yoga & meditation? Previous Post Are Big Influencers Buying Instagram Followers? You honestly have such an amazing site babe!!! I really like Madeleine Shaw’s yoga sessions on her YouTube channel! This is great! My yoga class was cancelled today so maybe I’ll just find a youtube video and have a little private session. Thanks for the post! Haha yes it’s your own little private session in your living room, nice way to put it!